What an October it has turned out to be! It has been quite a month at Method, so it only seems appropriate for the team to close out October dressed up in crazy costumes, eating treats, and even performing interpretive dances…I’ll explain that in a bit. Why such a great month for the team, you ask? Prior to October, Method’s development team has been hard at work preparing the new Method for beta. There were all nighters and lots of red bull, but they did it. Our developer team got the new Method ready for beta this month and we couldn’t be more proud of their incredible hard work and dedication. Leading up to October, the team was also hard at work preparing for our journey to San Jose for Intuit’s inaugural conference, QuickBooks Connect. We knew signing up to be a Main Street exhibitor was the perfect opportunity to show off the concept behind the new Method platform. So, our Main Street store was turned into a “Made for Me” cafe, where customers could order a small business CRM solution with just the right number of apps for their business. 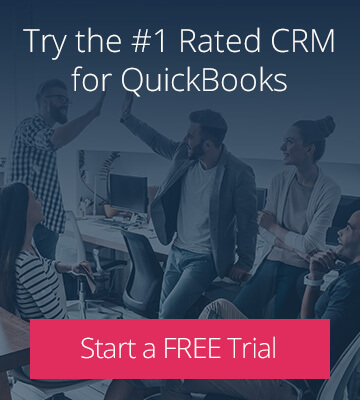 And while most of the Methoders were manning the “Made for Me” cafe, members of our executive team were invited to speak at QuickBooks Connect sessions. Danny in Running your entire business with QuickBooks Online with Kevin Kirn Overall, QuickBooks Connect was an incredible event that featured world class keynote speakers and provided fantastic learning opportunities for small business owners, accountants, and developers looking to join the Intuit ecosystem. Needless to say, we’re already excited for next year’s event. The Hackathon – Method:Donor There were many big wins this month, but one that really struck a chord throughout the whole company was the QuickBooks Connect Hackathon win. The challenge? To design, build, deploy and pitch an app within 36 hours at the QuickBooks Hackathon. 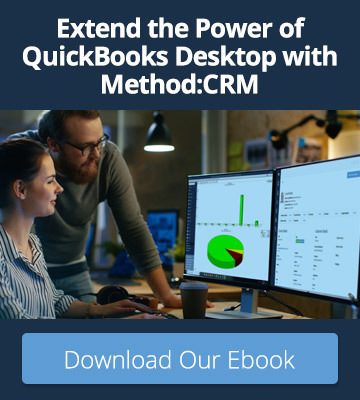 The Method Team created Method:Donor, a non-profit app designed to provide an easy way for donors to send charitable gifts and for non-profit organizations to accept and process those gifts within the QuickBooks environment. There was much celebration following the Hackathon win, including a series of photos taken of the giant check, cake and shots back at the office, and even an epic “new Method” inspired Halloween dance by our sales team. What Next? November also promises to be a busy month for us Methoders. In addition to bringing the first wave of beta participants onto the new Method, we’ll be in Las Vegas for the Sleeter conference Solutions14. The team will be showing off the new Method and welcoming new QuickBooks ProAdvisors to the Method Partner Program. The team will also be preparing for Method’s 2014 Partner Retreat, taking place this year in our home town of Toronto! If you’re a Method Partner and haven’t registered yet – what are you waiting for?! Register here – we’d love to have you join us.